"Felix Leiter was about thirty-five. 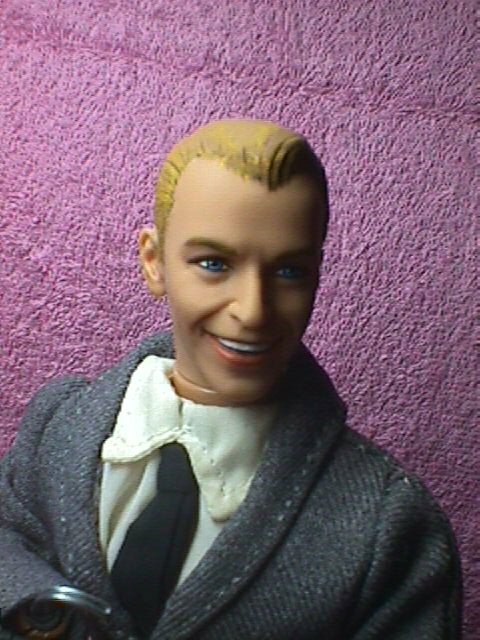 He was tall and thin with a bony frame and his lightweight tan-coloured suit hung loosely from his shoulders like the clothes of Frank Sinatra. His movement and speech were slow, but one had the feeling that there was plenty of speed and strength in him and that he would be a tough, cruel fighter. "As he sat hunched over the table, he seemed to have some of the jack-knife quality of a falcon. There was this impression also in his face, in the sharpness of his chin and cheekbones and the wide wry mouth. His grey eyes had a feline slant which was incfreased by his habit of screwing them up against the smoke of the Chesterfields which he tapped out of the pack in a chain. The permanent wrinkles which this habit had etched at the cornes gave the impression he smiled more with his eyes than with his mouth. A mop of straw-coloured hair lent his face a boyish look which closer examination contradicted." In Bond's second adventure, "Live and Let Die," Leiter was mauled by a shark. 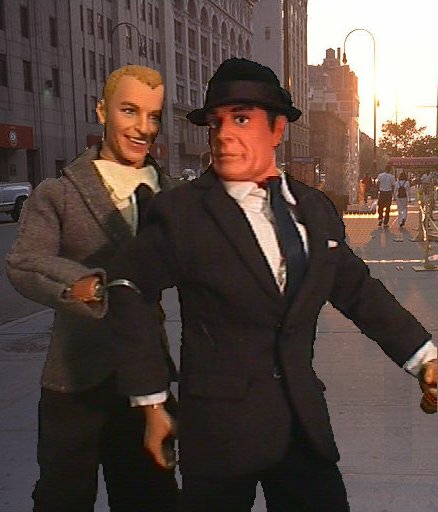 When, in "Diamonds Are Forever," Bond felt a steel-hard hook grasp his elbow from behind in the Streets of New York, He turned to find that he'd been outfoxed by his old friend. 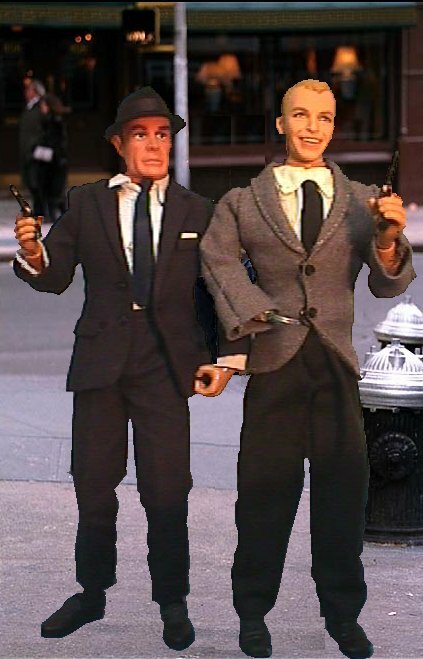 But Felix Leiter was much-changed: "The right arm had gone, and the left leg, and there were imperceptible scars below the hairline above the right eye that suggested a good deal of grafting, but otherwise Leiter looked in good shape. The grey eyes were undefeated, the shock of straw-coloured hair had no hint of grey in it, and there was none of the bitterness of a cripple in Leiter's face. 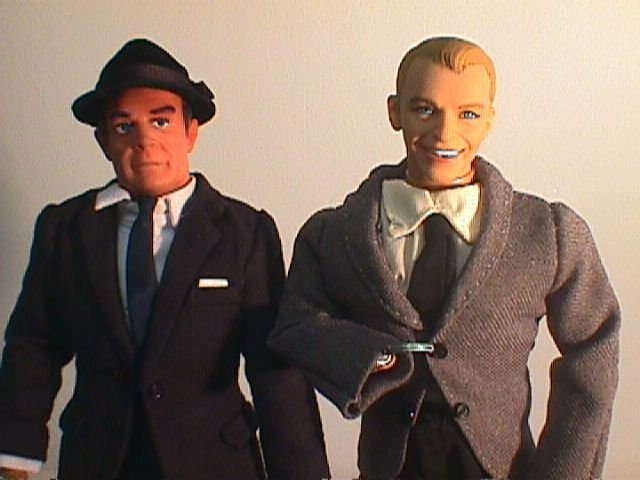 But in their short walk there had been a hint of reticence in Leiter's manner and Bond felt this had something to do with him, Bond, and perhaps with Leiter's present activities. 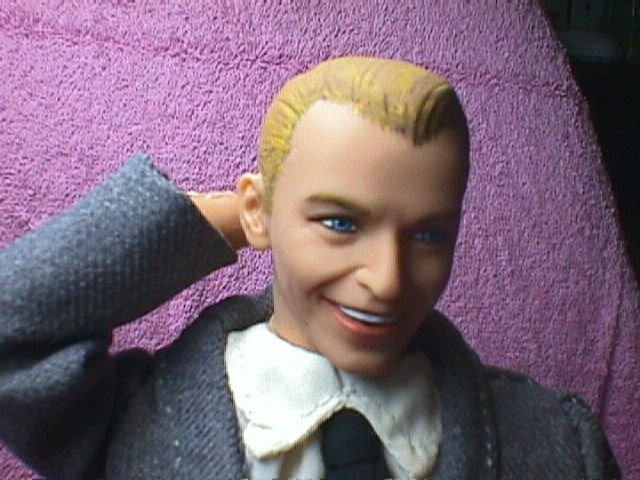 Certainly not, he thought as he walked across the room to join his friend, with Leiter's injuries." In Fleming's last Bond novel, "The Man With the Golden Gun," Fleming writes: "James Bond was immensely reassured at finding these unexpected reinforcements. He had worked with Leiter on some of his most hazardous assignments. There was no man like him when the chips were down. 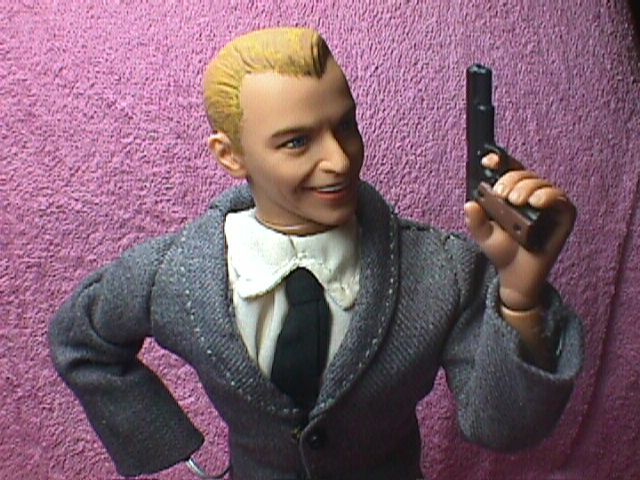 Although Leiter had only a steel hook instead fo a right arm -- a memento of one of those assignments -- he was one fo the finest left-handed one-armed shots in the States and the hook itself could be a devestating weapon at close quarters." One's overwhelming impression of Felix, though, is his good humour. His wit and laconic charm make him the most enduring and endearing character in the Bond canon, save, perhaps, Bond himself. His portrayal in the motion pictures has been irregular. Only one actor -- David Hedison -- has played him twice. But the smiling, youthful blond secret agent of Fleming's novels is still clear, still enjoyable. We can only hope to one day see him on film as Fleming presented him to us. 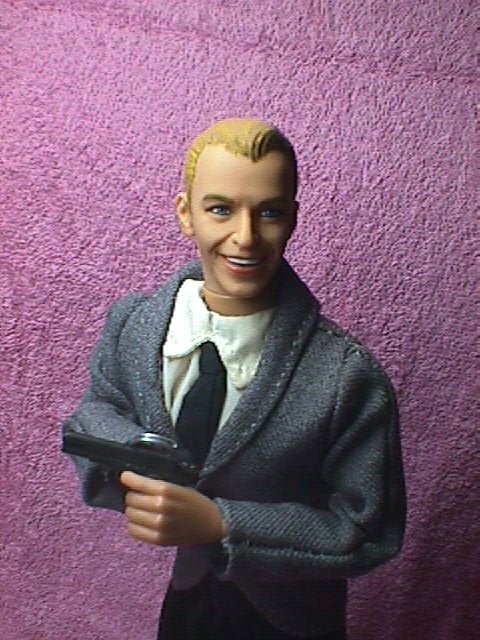 Felix Leiter is a "Moving Soldier of the World" figure with his right hand replaced with a hook made of florist's wire, and his head swapped with that of Mattel's "Frank Sinatra: the Recording Years" painted blond. 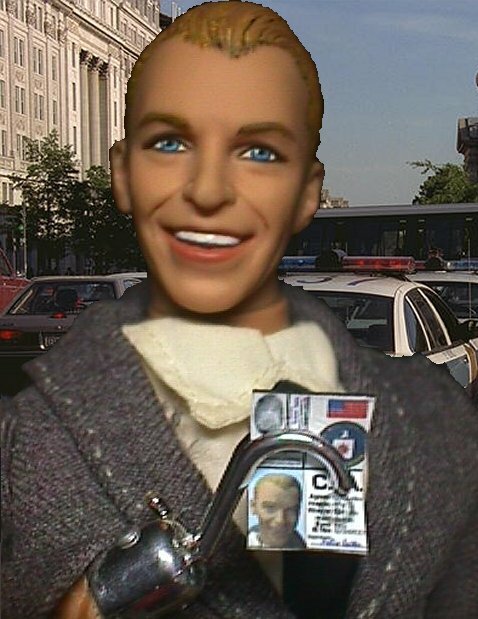 By the time I tookl the picture of Felix flashing his ID in Washington DC, I'd replaced the florist's wire with a prosthetic hook from a 1970's-era "Jay J. Armes" figure. His shoes are from a Civil War "Ultimate Soldier. The pants are from the 12" "Blues Brothers 2000 'Mack'" with the shirt from the Sunny Smile "Strike Force Assassin" and a jacket hand-made by my wife. His Colt .45 is an "Ultimate Soldier" prop.